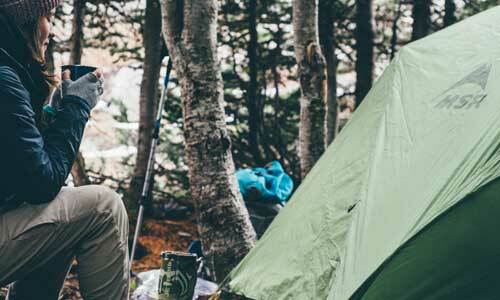 What’s The Best Camping Coffee Maker? I’m a coffee lover, although I wouldn’t consider myself a connoisseur. I love a good strong latte or mocha, but when I’m camping I don’t want to waste a lot of time on preparation and cleaning. But lets be honest, sometimes coffee on the trail ends up burnt, bitter, or bland. 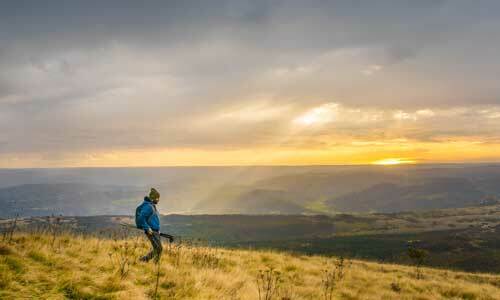 So what’s the best way to ensure a nice, enjoyable cup of joe out in the wilderness? Fortunately there are a variety of convenient portable camping coffee makers available, but they can still be a bit cumbersome if you’re working with a limited packing capacity. The easiest solution, of course, is a good instant coffee. I wouldn’t touch instant at home, but in camp or on the trail I’m more concerned about convenience. 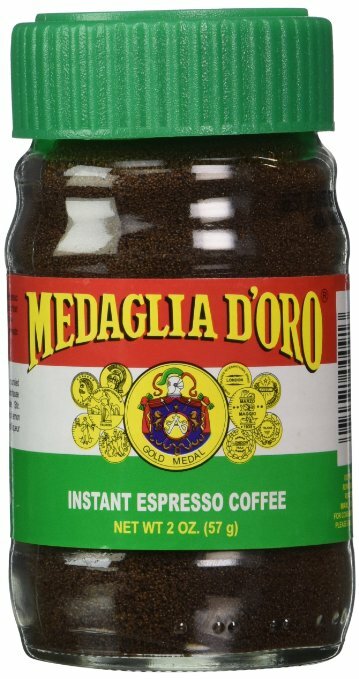 Medaglia D’Oro makes an instant espresso that is actually quite good. You can get it in your local grocery store coffee aisle or at JavaCabana.com. If the thought of drinking instant coffee while camping (even instant espresso) is too horrible for you to contemplate, choose a camp coffee maker from the following options. 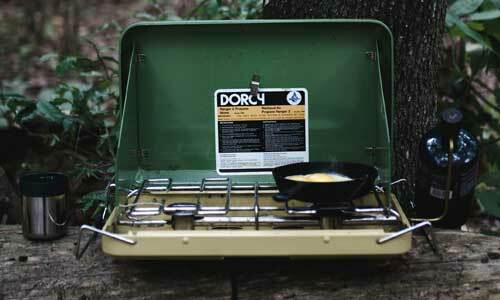 The Coleman Camping Coffee Maker is a stovetop brewer that works well. Although it’s pretty slow, it makes drip coffee as well as an electric brewer. It can make 10 cups of coffee at a time, it’s easy to use, and it’s easy to clean. 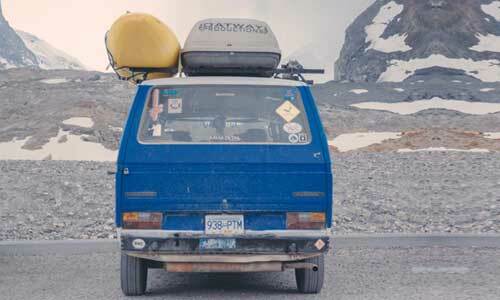 Unfortunately, it has a few design flaws which can make it difficult to use when camping. The pot handle must be turned straight out or it can melt over the stove, and the swing-out basket does not stayed closed well. 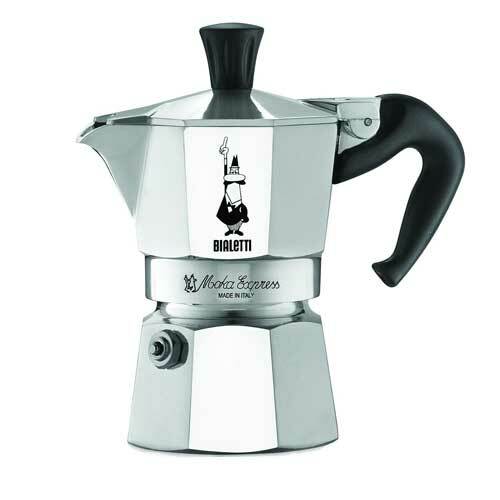 My friend Phil swears by the Bialetti Moka Express stovetop espresso maker. He uses it at home and on his hunting trips. He says it makes the best espresso, it’s light (made of aluminum), and it’s durable — he’s been using the same Bialetti pot for years. 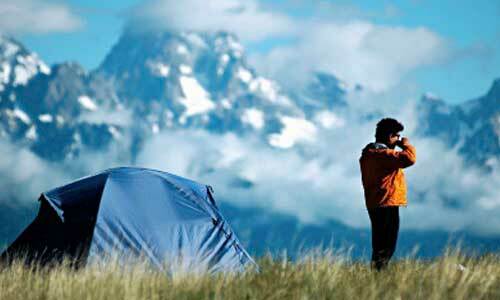 Are you passionate about camping with only the best-tasting coffee? French press camping coffee pots are the way to go. They make the most flavorful brew and and are very simple to use. Just put your (very coarse) coffee grounds in, add very hot (not boiling) water, let it sit for 3-4 minutes, press the grounds to the bottom, and pour. The Planetary Designs French Press is one of the best French Presses available. It is durable (stainless steel) and well-designed, with a tight-fitting filter that doesn’t let grounds through and double-wall insulation to keep the coffee hot. It comes in different sizes and colors to fit your needs, and is a great size for camping. 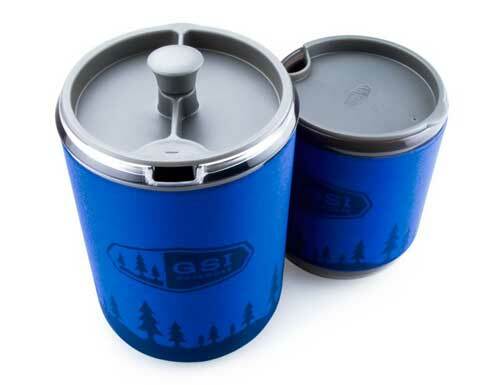 The GSI Outdoors Personal Java Press is a small, convenient french press perfect for two campers. The press and its companion mug are tough, fairly light, and have lids and removable insulating sleeves to keep the contents hot. The mugs nest together for easy packing. Here’s a simple, very light, and cheap option for making fresh coffee while camping: the GSI Outdoors H2JO! Percolator. It attaches to any Nalgene-type water bottle. Just fill the bottle with hot water, screw the filter onto the bottle, and add coarsely-ground coffee to the filter. It doesn’t get much easier than that. 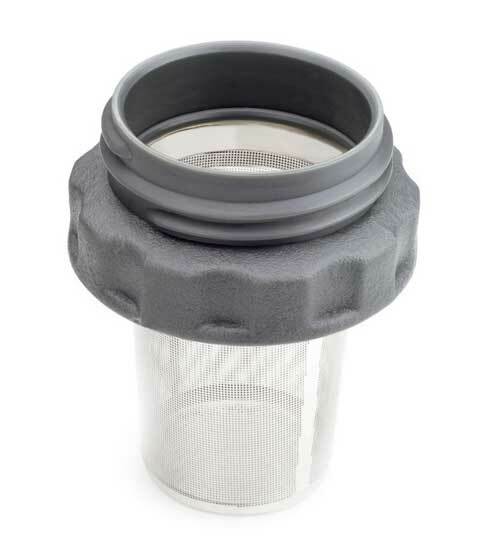 Only 1.8 ounces, this filter can do double duty as a camping coffee maker and a backpacking coffee maker. 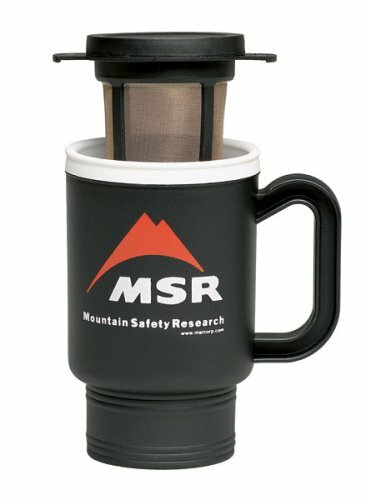 The MSR Mugmate Coffee/Tea Filter is even lighter — only 1 oz. It fits a standard 12-oz. mug, with super-fine steel mesh to securely trap the grounds. Despite its ultralight weight, the Mugmate isn’t flimsy. It will last through many camping and backpacking trips. 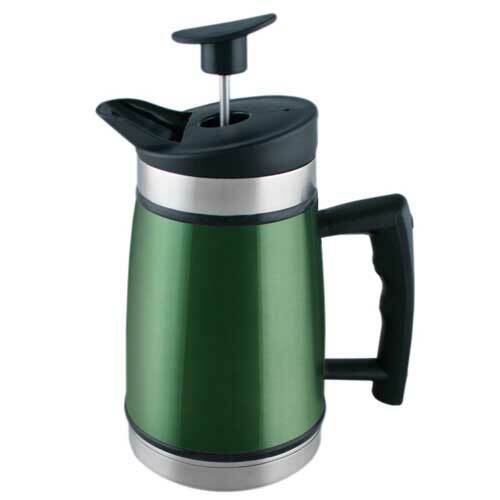 As you can see, there are many different camping coffee makers to choose from. Don’t sleep through your time outdoors. Get a good camping coffee maker and get your buzz on!